Two of the most beautiful sights on this planet are the sunrise and the sunset. Why? Because of the colors the light makes in the sky. It’s truly amazing the difference light can make in our world. Without light, we can’t see, and when light appears in the morning sky, our moods brighten, and we’re emboldened to face the day. Franklin Lighting has been bringing lighting solutions to the Sarasota area since 1968. From the best home accents to the perfect patio lighting, Franklin Lighting offers professional lighting services to help you make your home, business, restaurant, or office bright. Below, we’ll explore the different types of lamps you can use to accent your home. Contact us today! WHAT ARE SOME TYPES OF LAMPS? Accent lamps. Accent lamps are the smallest type of lamps (between 22 and 24 inches, measuring from the base of the lamp to the very top), usually consisting of only one socket. These are most frequently used for ambiance purposes. Table lamps. Table lamps are between 24 and 36 inches tall. When sitting on a table, table lamps should land around 58 to 64 inches high. Table lamps are popular accents for reception areas. Desk lamps. As their name implies, desk lamps are for your office interior design. They sit on your desk and usually provide bright, focused light for work purposes. They are small in design so are usually considered an accent lamp. Desk lamps are a type of task lighting. Floor lamps. Floor lamps are usually stand-alone home accent pieces. Floor lamps are between 58 and 64 inches high and usually offer more lighting than accent or table lamps. Floor lamps come in all styles and are used for many purposes, from the primary light in your living room to accent lighting in your office. What style of light do you prefer? All lamps are fundamentally the same — they provide a source of light. Which type of lamp do your prefer and would fit with your home interior design? Are you looking for a lamp to fill a space, such as a corner? Is your space limited, such as a stairwell or entryway? 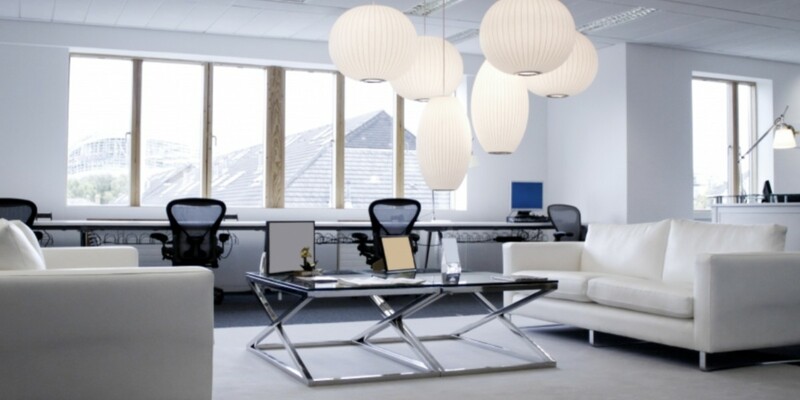 Are you in love with glass lamp shades and want to design your home office around that? Do you want layers of light? Ambient, task, and accent are the three layers of light most commonly recognized by lighting interior designers. When all three co-mingle, your interior design space is cozy, homey, and warm. What color temperature do you want for your space? Color temperature is the character of your lighting. Warm color temperatures give your a warm feeling and are most often used in restaurants. These colors include orange, red, and yellows and are great for living rooms and bedrooms. Cooler color temperatures you’ll find in bathrooms, studies, and kitchens because they are brighter and give you an overall clean feeling. Franklin Lighting in Sarasota offers an array of lighting solutions to suit your tastes and your style, from table and desk lamps to accent lamps and traditional floor lamps. Our Art Glass Lamps are perfect to add some warmth and layers to your interior design space, with colorful, unique designs sure to be conversation starters for guests. Our floor lamps come in transitional, traditional, torchieres, swing arm, and arc arm styles, which can help you not only add lamp light, but light with a purpose as well. Franklin Lighting of Sarasota believes in helping you light your world. Contact us today for a lighting consultation!